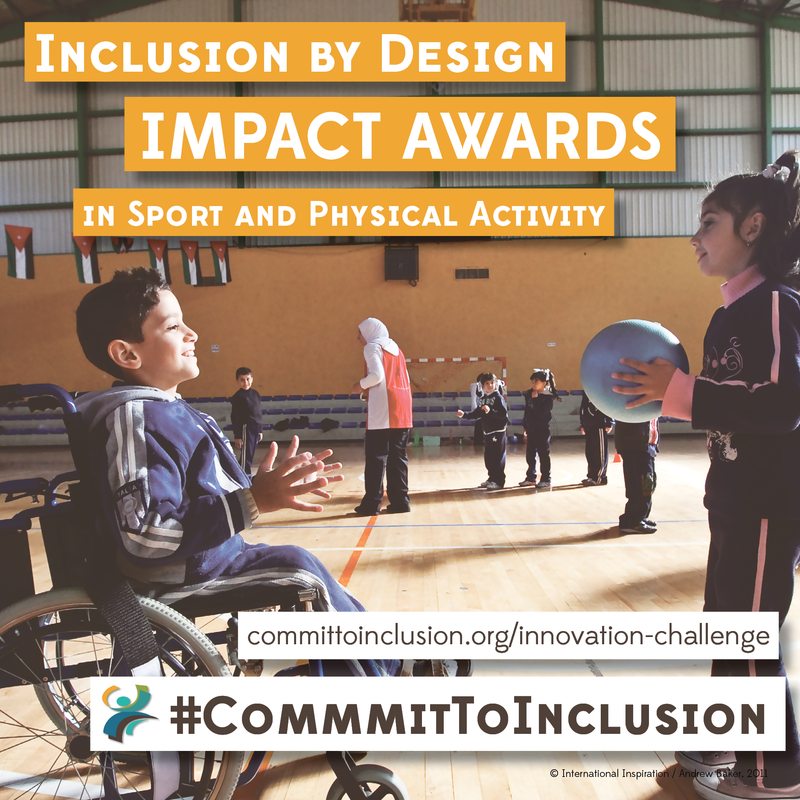 • How have you made sport and physical activity more inclusive for children and adolescents with disabilities? 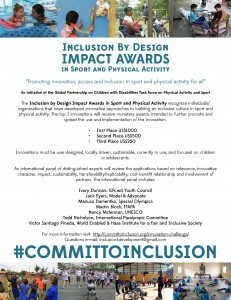 #Committoinclusion and Enter the INCLUSION BY DESIGN IMPACT AWARDS contest today. • Join the Commit to Inclusion campaign to help build healthy, inclusive communities while engaging, educating, and empowering all Americans across the lifespan to adopt a healthy lifestyle that includes regular physical activity & good nutrition. Visit committoinclusion.org and #committoinclusion. 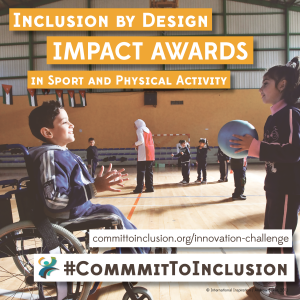 • Commit to Inclusion to help facilitate access and opportunities for children and adults with disability to be healthy and active. Visit committoinclusion.org/international and #committoinclusion. Twitter- Official campaign handle @InclusionMeans. Instagram- Official campaign account @committoinclusion. Share the official Commit to Inclusion campaign graphics and images or video of what #CommitToInclusion means to you. Share or embed the official Commit to Inclusion Video available on YouTube. Share or embed the Inclusion by Design Impact Awards Challenge Video and Issues Video available on YouTube. 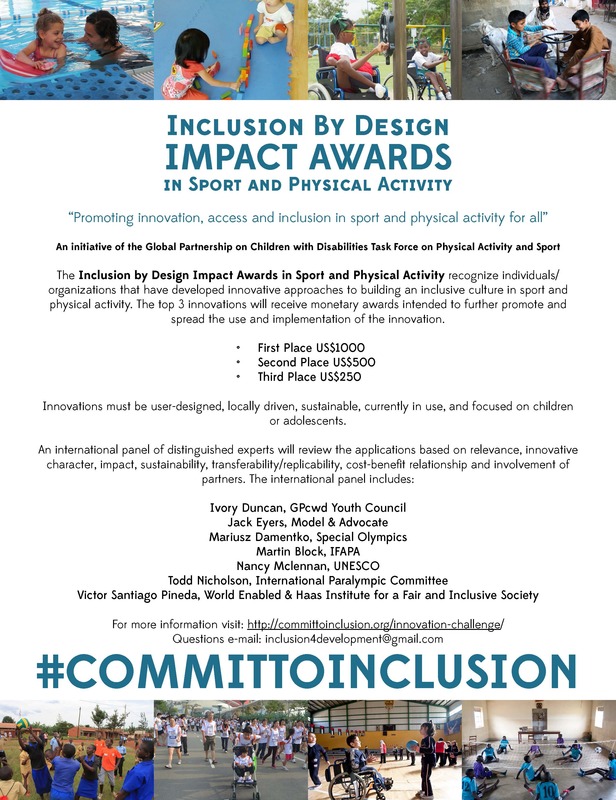 Download and share this one page flyer outlining the Commit to Inclusion campaign and Inclusion by Design Impact Awards. Include this graphic and others found in the campaign graphics section to visually share the Commit to Inclusion (International) campaign. Further information about the Global Partnership on Children with Disabilities (GPcwd) Task Force on Physical Activity and Sport: http://www.gpcwd.org/physical-activity-and-sport.html. For additional background on the issue see the GPcwd Task Force Thematic paper: http://www.gpcwd.org/uploads/2/6/0/9/26097656/gpcwd_thematic_paper_on_physical_activity.pdf.